It’s more important than ever that your company is well represented on social media, and Facebook is one of the most popular platforms to choose from. One of the greatest advantages for companies using Facebook is the ability to target specific audiences with your campaigns, something advertisers had previously only dreamt of. So, how do you get it started? 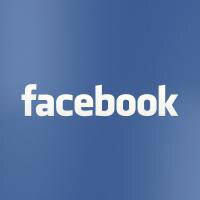 When you have your business registered on Facebook it gives you the option to ‘boost’ your posts for a fee. This isn’t the best method, and you should instead choose to open a Facebook Advertising Account which gives you greater control over the target reach of your posts. When you’ve chose this option, you’ll discover the large amount of decisions you have to make, including whether or not to ‘promote’ a post. Before doing this, you need to conduct some research internally to discover who your target audience actually are. Making an account this way allows you to target on age, gender, relationship status, and even the pages they’ve liked. Although this is a great feature, be careful not to narrow too far down or you risk losing potential clientele. Think about everything else you’re battling against on people’s news feeds. Don’t just think about competitors’ adverts - what about their friends and family’s posts? You’ve got to stand out amongst the announcements and images from people they already have a relationship with. In order to have a chance of contending against these, you need to make your post noticeable and cause your target audience to pause from their scrolling. Think outside the box, you needn’t just use your company logo as an image. What about images you’re using on your blog? You also need to consider the copy carefully and make it engaging. It’s vital to provide a call to action to try and persuade your audience to click through to your website. Remember - make it interesting, but concise. A very useful feature of having this style of Facebook account is the re-targeting option. This tool allows people who have previously been on your website to see your posts as they browse the social media. This is a great opportunity for your brand to remind customers of products they were earlier browsing and can help persuade them to return to the website to make a purchase. Once people have liked your page, it’s important to remember about the importance of wall posts. Although it may not be considered as important with the addition of targeted advertising, this option helps to you engage with your customers in a way that isn’t always possible through other methods of marketing or communication. You can use wall posts for many reasons, for example to host a discussion on customers’ opinions on an industry topic, or promoting a new blog article on your site. Always remember when responding to posts to do so in a style that maintains the brand’s tone of voice and values. Development in ecommerce never ends as there is always a new method or platform to explore and learn. This is why it is vital to remain on top of your social media, constantly refreshing it and adding new, relevant posts. Doing this not only keeps customers and fans reminded of your brand, but shows them how you are engaging with your audience, remaining current and not allowing your company to stagnate.